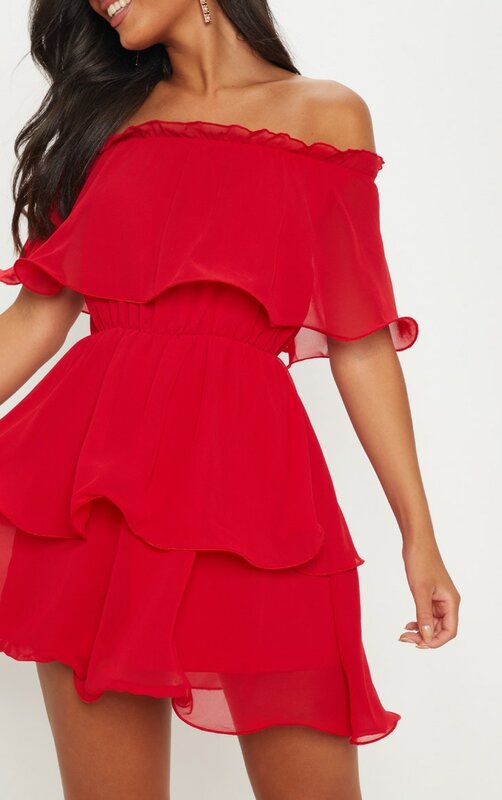 Girl steal all the stares in this ultimate must-have dress. 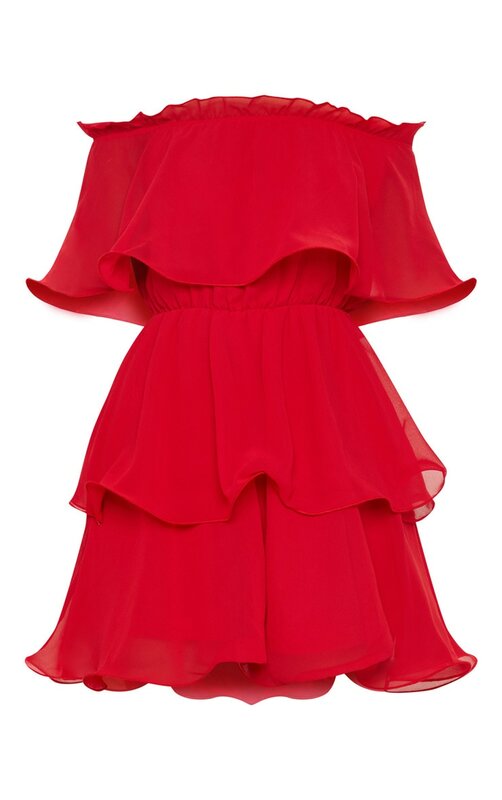 Featuring a red chiffon material with a bardot neckline and an elasticated cinching waist detail. 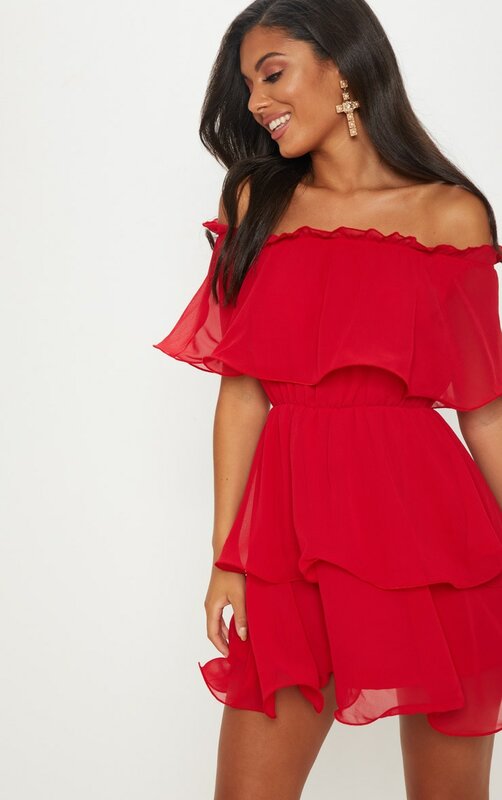 Team this dress with strappy heels and your biggest hoops to complete the look.